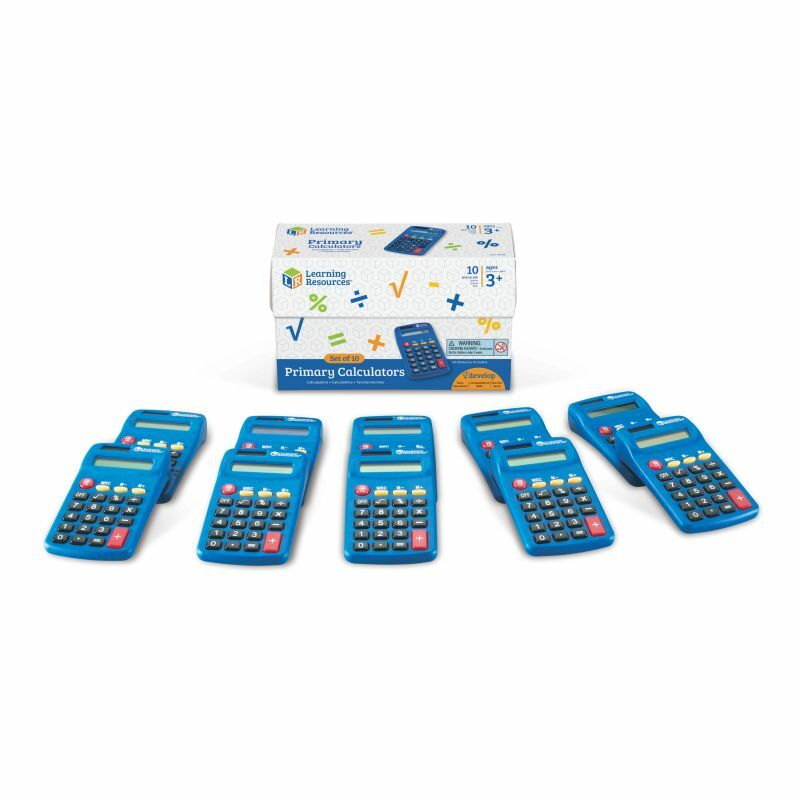 Start teaching calculator skills early with this appealing set of Primary Calculators. These dual-powered, 4-function calculators include auto shut-off, 3-key memory, and more. Students can start with basic math operations and work their way up to more advanced concepts such as percents and square roots. Perfect for independent math practice.